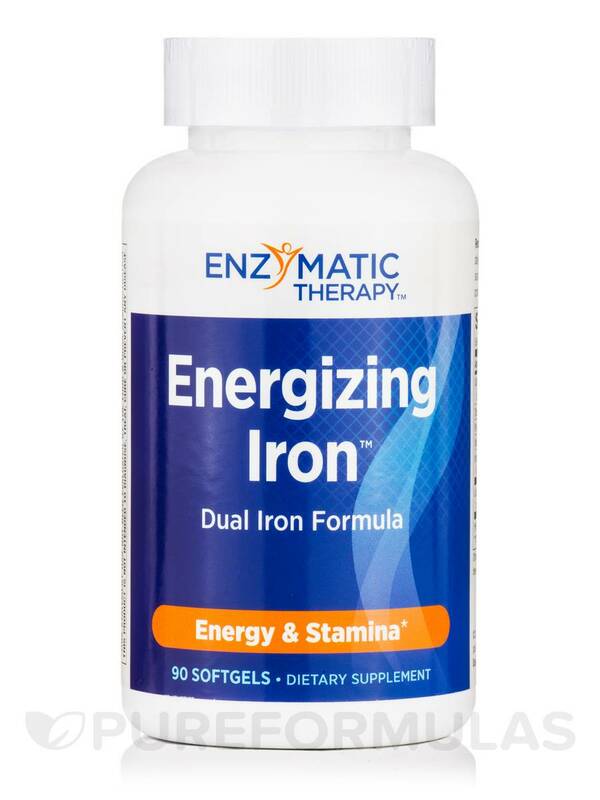 Energizing Iron by Enzymatic Therapy is a dietary supplement that may possibly help provide energy to the body. 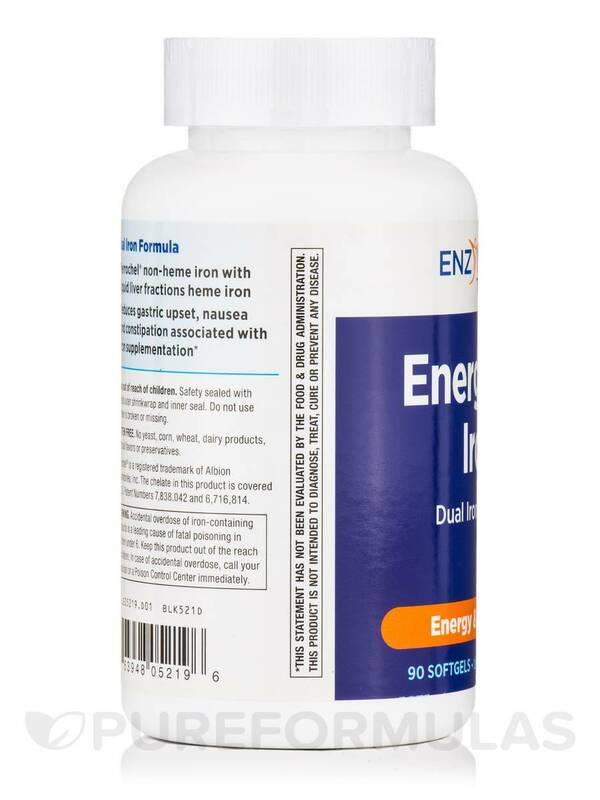 Energizing Iron contains essential ingredients that might be able to energize the body for everyday physical activities. Iron‚ which is found in the myoglobin of muscle cells‚ is believed to help improve athletic performance. The body needs iron to potentially be able to transport oxygen and carbon dioxide throughout the body. Protein has the ability to possibly help promote lean body mass and increase muscle size. Vitamin B12‚ together with iron‚ might be able to help in improve athletic performance. 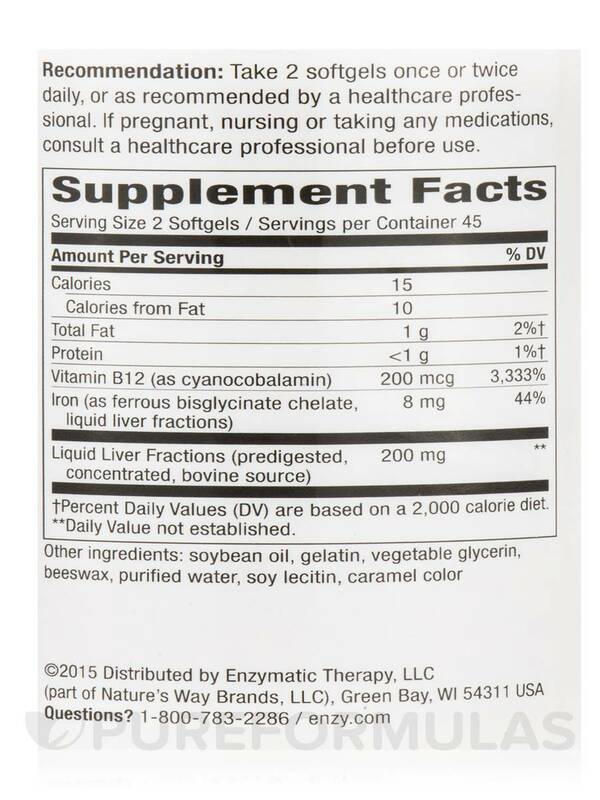 Liquid liver fractions are believed to have the ability to promote strength and physical endurance. Energizing Iron also contains sodium‚ which may possibly help support muscle contraction. 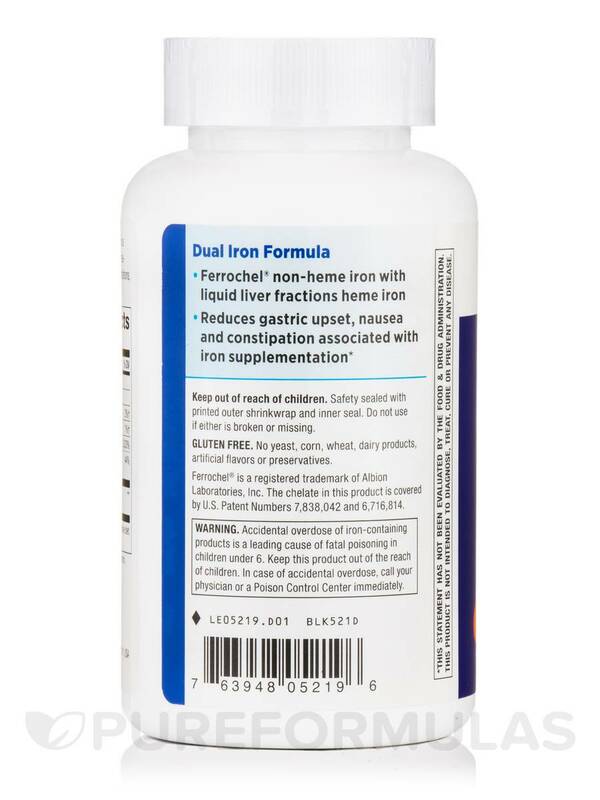 Before taking Energizing Iron from Enzymatic Therapy‚ please consult with your physician to see if this product is right for you. Other Ingredients: Soybean oil‚ gelatin‚ vegetable glycerin‚ vegetable glycerin‚ beeswax‚ purified water‚ soy lecithin‚ caramel color. No gluten‚ yeast‚ corn‚ wheat‚ dairy products‚ artificial flavors or preservatives. 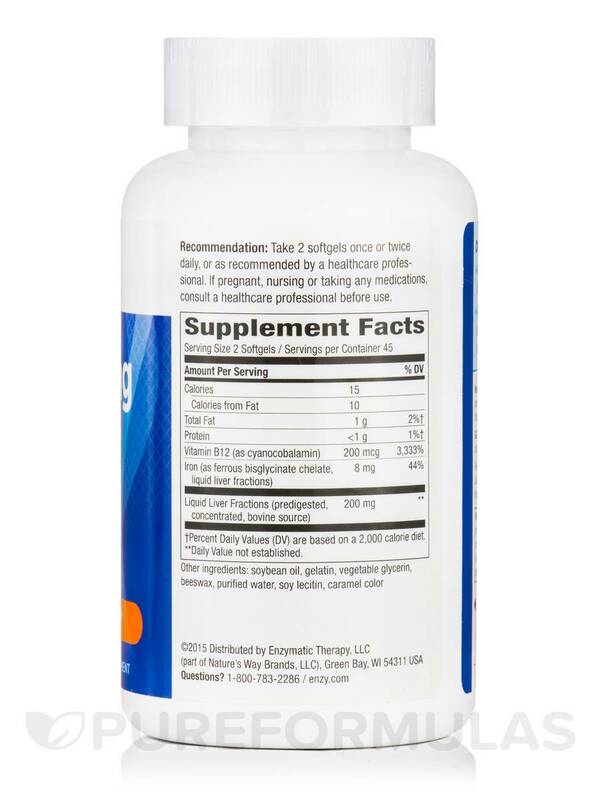 Take 2 softgels once or twice daily‚ or as recommended by a healthcare professional. 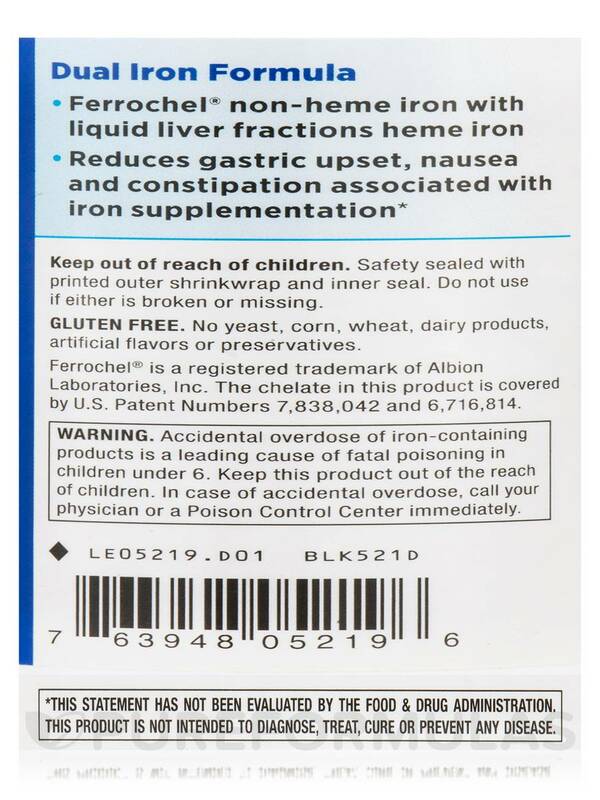 Accidental overdose of iron-containing products is a leading cause of fatal poisoning in children under 6. In case of accidental overdose‚ call your physician or a Poison Control Center immediately.